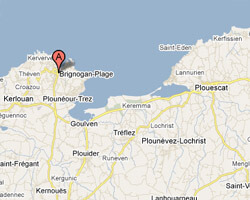 Brignogan-Plages is a seaside resort with beautiful sandy beaches located on the north coast of Brittany. Mineral seascapes make it one of the most beautiful sites in northern Brittany. Pontusval headland is particularly picturesque with its lighthouse built on the rocks. The menhir of Men Marz is one of the four highest menhirs in France. 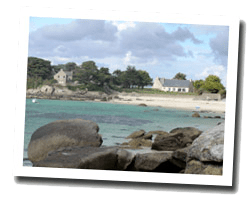 In Brignogan-Plages enjoy a seaview holiday rental. House 200m2 on the beach. Garden with barbecue. 5 Bedroom(s), 4 double bed(s). Final cleaning : included. Villa 7 rooms 250m2. Close to the beach. terrace with barbecue.